The Roberts Supreme Court decided last week that voters in the state of Michigan had the right to ban affirmative action policies in college admissions. Michigan is one of many where mediocre White students challenge the fact that African American students, far more qualified than they, have been admitted to college. This has happened in Texas and California, among other states. These challenges to affirmative action have roots in the 1976 Bakke case, where the 38-year-old Alan Bakke sued because his application to medical school was rejected and he felt that he was displaced in favor of a minority student. The Supreme Court ordered Bakke admitted to the University of California at Davis, and also ruled that affirmative action was permissible under law. What bothers me most about these anti affirmative action cases is the implicit White skin privilege that compels them. College admissions are an art, not a science. Students whose parents contribute generously to a college get an edge. In the name of diversity, a student from California, regardless of race, may get a bit of an edge at Dartmouth or Columbia. A violist, newspaper editor, or budding sports star, might also get a break. Meanwhile obdurate and privileged Whites don’t go after these people. Their ire is directed toward African Americans and other people of color. Justice Sonia Sotomayor got it completely right when she said that race still matters. When the Supreme Court upholds these anti affirmative laws they deny history. Make it plain. The Civil Rights Act was passed in 1964, a scant 60 years ago. Affirmative action policies were developed shortly after that so that the formerly closed doors of academia could be opened. Affirmative action had a short shelf life before it was challenged in 1978, just 14 years after the passage of the Civil Rights Act. The opponents of affirmative action say that the color blindness that the Civil Rights Act mandated prevents remediation from past discrimination. What about contemporary discrimination? The University of Michigan, in its admissions policies, has evaluated students by a points system. Students get extra points if they have participated in Advanced Placement (AP) or International Baccalaureate (IB) courses. How many high schools in troubled Detroit, have access to these classes. Yet the people of Detroit pay taxes to support a college that discriminates against them/ When the anti-affirmative action crowd talks about fairness do they take this into consideration? When University of Michigan admits do not reflect the demographics of Detroit, aren’t the Whites who attempt to dominate the welfare recipients of the state? The attempt for fairness is misplaced when anti-affirmative action proponents want people of color to pay for a university system that gives White people preferential treatment. In a few weeks we will commemorate the 60th anniversary of Brown v. Board of Education. While it took some time for Brown to be implemented, it was a Supreme Court decision that opened doors to equal education for those who have been discriminated against. With the most recent affirmative action case, the Supreme Court has chosen to slam doors in the face of those who have experienced historical discrimination. This Supreme Court, collectively, has behaved no better than Southern night riders who would stop at nothing too exclude African Americans from participation in education, voting, or owning property. This court is no better than the administrators at the University of Georgia who denied Charlayne Hunter Gault and Hamilton Holmes admission, despite their qualifications. This court has legalized educational segregation, and Sonia Soyomayor’s blistering attack on her colleagues reflects the sentiments of millions of people who are tired of this court trampling on their rights and history. Justice John Roberts is 59 years old. He attended college when long excluded people of color were admitted because of race-conscious policies. What are his resentments toward his classmates who, equally qualified, may have “displaced” some of his friends? Does everyone who has been “displaced” have grounds for a lawsuit? What impact will Roberts have on race matters in the future? While Justice Sotomayor is on the court to check him, and while her opinions will have some weight, she and her colleagues will not be able to outvote the myopic conservative majority. Roberts led the cabal that slammed the door in the faces of people of color. His justice is a “just us” attempt to reinforce White privilege. 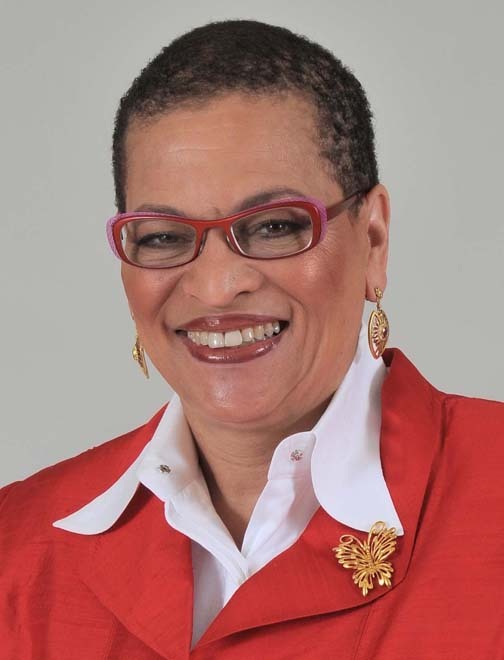 Julianne Malveaux is a Washington, D.C.-based economist and writer. She is President Emerita of Bennett College for Women in Greensboro, N.C.